“En tremblant” is a French term – meaning “to tremble”. It was first used to describe 18th and 19th-century jewelry where parts of the diamond set pieces were attached to a trembler to create movement in the jewel when worn. Brooches mounted in this way were particularly effective in reflecting the scintillating fire of candlelight. 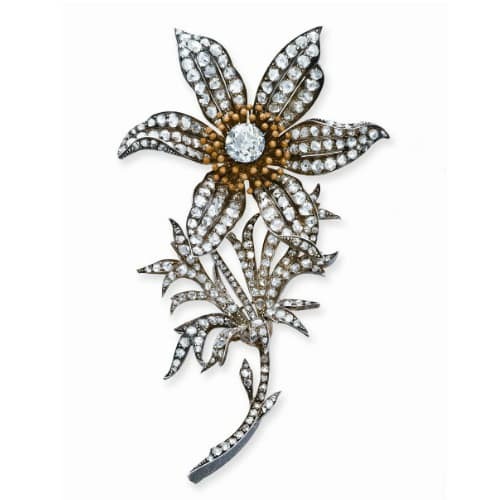 Detail of Georgian Diamond Flower Brooch Mounted En Tremblant. 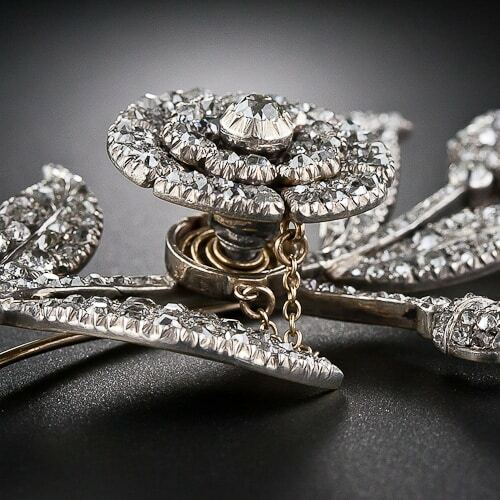 Diamond Flower Brooch Mounted En Tremblant c.1870. Image courtesy of Christie’s.